For a lengthy discussion of this group of enameled wares, produced by the Ye family at Beijing, see H. Moss, "The Apricot Grove Studio, Part III: Enamelled Glass Wares", JICSBS, 1985, pp. 116-30, where similar examples are illustrated. 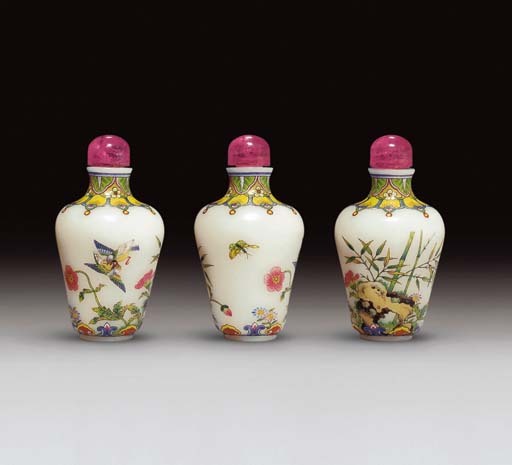 See also Moss, Graham, Tsang, The Art of the Chinese Snuff Bottle. The J & J Collection, no. 205 for a discussion of Ye Bengqi's talents as a copyist.